Welcome to Lean Agile Management Podcast – a place where we talk with the thought leaders and top-tier management consultants about Lean Agile transformation, answer manager’s questions and discuss the hottest topics in management & productivity. Are you tired of putting out the fires of your team issues just to see them cycle back? If so, you might be extinguishing the symptoms instead of eliminating the root cause of your problems. Today we will shine the light on building and sustaining the culture of continuous improvement and how this key concept of Lean philosophy can help you solve the team management issues. 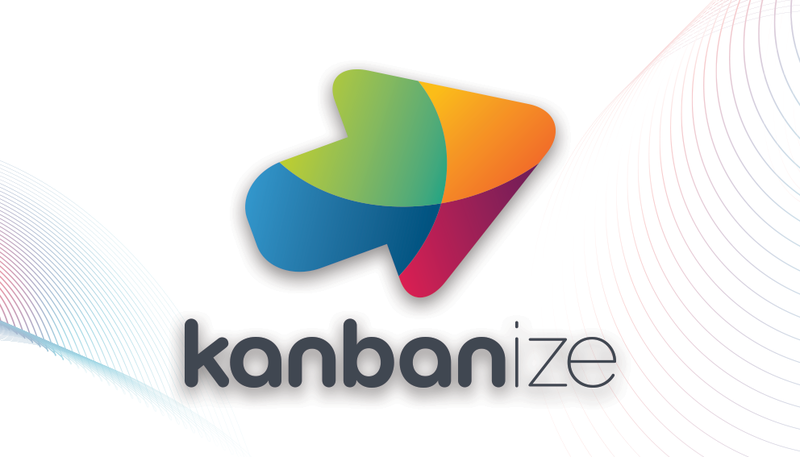 We are joined today by a professional Lean coach, developer of Kanban foundation courses, and a certified service management consultant, Robert Falkowitz. Today he is tuning in from Switzerland to talk with us about continuous improvement in the context of team management. D: Hi Robert, welcome to the show! R: Hi Dima, thanks for inviting me. How are you today? D: I’m doing great, how are you? D: I’m glad you could make it, thanks for tuning in today. D: So I know you have really serious experience helping teams understand and implement Lean and Kanban, you’ve worked with countless teams in different industries but why did you decide to coach Lean in the first place? Could we start there? R: Before I got involved in Lean and Kanban in a very serious way, I did a lot of work in Service Management. What I’ve found and what most people in the field find is that it’s very difficult to justify the effort that you put into the improving the way in which you manage services. And I found that the reason for this was that most organizations have problems in the way in which they deliver and manage services; not because of the Service Management aspect but because of something much more fundamental: how their teams are organized and how they manage their work, how they manage the flow of work or don’t manage the flow of work, for that matter. R: And so, I said, in order to be able to help my customers better, it was important to help them improve where you could make most noticeable improvements and then afterward we can come back and fine-tune it with Service Management improvements. And that’s how I got started with Lean and Kanban. D: Would you say there are some general patterns or issues in the way we think about team management that the teams you’ve been working with could share? R: You know, there are a lot of differences from one sector to another sector, especially in terms of regulatory requirements. There will be differences in terms of the size of the organization, whether they are located at one site or multiple sites. There are differences in terms of the background, the culture of the organization and how it works. So every case is somewhat different and you have to be agile in adapting to services that you provide in order to help organizations do a better job at doing their work. D: Would you say that there are some biggest ultimate roadblocks or productivity myths that specifically prevent teams from becoming a high performing team? Well, what I’ve found is when organizations try to improve the way in which they work by layering on more controls, what they’re doing is fact, very frequently, exactly the opposite of what they intend to do. Now, it is difficult because people have grown up in believing that the best way to improve the way in which they work is to manage better, to check up more, to control more, to have better reports and to be able to act better on those reports in order to make decisions. And very frequently this is exactly the opposite of what the organizations need to do. So you’ve got this big change in the mentality of people, trying to get them to think in terms of doing less in order to improve the way in which they perform, rather than doing more. I think this is really the biggest roadblock. It’s the roadblock in people’s minds. D: So, if I’m getting this right, you’re saying that a lot of big, serious issues that teams are experiencing could be prevented with just a simple culture shift. R: Well, it’s very definitely a question of a culture shift, whether it’s simple or not is another question. Part of the problem that organizations have is they have this background of doing work and changing things via big projects, with this “big project mentality”. And so, changing the culture in some organizations becomes a Big Project. They define a target, they analyze the gap and they make a plan to fill the gap in order to meet the target. But the real issues are the issues that are based, in my view, more on trust and confidence, the ability to be a leader, play a leader’s role whether you are a manager or not. These are the things that you don’t see in the plans that people make to change the culture. They make it much harder than it really needs to be. I think what you need is to have simple ways of gradually allowing people to improve themselves, rather than planning for them how someone else will improve them. And that’s one of the big issues I’ve seen. D: Well, maybe let’s take it back to Lean and Kanban specifically. In Lean, there is this concept of Continuous Improvement. Could you say a little bit more about what actually is it? And what is it not? What do people confuse it with? R: Right. Well, I think your question is very pertinent. Because what I’ve seen, especially in the organizations that have this strong project management culture, you can understand where they’re coming from. They were doing a lot of projects, they were changing things and they weren’t really doing it in a very good way. these organizations started to invest very heavily in developing Project Management methodologies, creating PM offices, adding whole series of checks and controls and gateways in order to improve the way in which they were doing projects. So you can understand that this is where they’re coming from. And when you ask these people who are coming from that background “what is continuous improvement?”, they will tell you “well, continuous improvement is doing a lot of projects”. What they don’t seem to appreciate is how heavy-weight this approach is in terms of every single time you want to do a new project you have to go to this whole methodology and have all of this overhead associated with it, when in fact you’re taking a long-long time to deliver improvements, if you deliver improvements. Because we all know, a lot of organizations have difficulty completing projects the way they wanted to and getting the value out of the work they wanted to. For me this is not continuous improvement, this is doing a lot of projects, this is keeping the PM office busy, this is justifying all of the investment that they made in improving the way in which they manage projects. For me, continuous improvement is more question of empowering all of the different member s of the organizations to identify the things that they can improve locally within their own teams or even within their work individually, But I would put the emphasis on teams and finding a good way of doing that. I think this is the key factor in being able to do continuous improvement. D: What would be the simplest definition of what continuous improvement is? Are there specific steps to get started with continuous improvement? Is it something you can just find a guide to or is it more of a harder sophisticated concept? Well, of course, it can mean almost anything that you want. That is the reason why I’ve put together, what I describe as a continual improvement maturity model. It’s a way of helping organizations to assess what they are doing in terms of making improvements. The idea of the maturity model is to define a set of axes by which an organization can assess itself and a set of guidelines for deciding what level you’re at for each of those axes, that is important for doing continual improvement. Then you can see where you are and say “ok, let’s work on this area and see if we can do something to improve the way in which we do continual improvement” and therefore continually improve the continual improvement that they’re doing. That is the approach that I’ve taken. D: Would you say that it usually requires a lot of work and resources for people to establish such a culture of continuous improvement or does it actually need only some small things to get started with? Certainly, in my experience, it takes a lot of time. It takes a lot of time for a lot of different reasons. Now, of course, each individual in the organization is going to be coming to the question from a different background. Like in every case, there always going to be couple of people at the front of the pack and they’re really interested and they quickly see the interest of doing something; there are a number of people in the middle of the pack and they are willing to play along and play the game as long as they think that it’s going to make sense; and then there is there is always a couple of people, there is always somebody in the group who says it’s never gonna work and they always find reasons why something is not going to work instead of looking for ways of making it work. So, we’re coming from that kind of background. And I think that it’s very important in that case to try to understand what the motivations and the drivers are for each individual if you are going to a coaching situation and try to get the people within the team to take leadership roles and help their team as the whole to make an improvement. And that just takes time. It takes time because there is a big question of developing trust. Those people who always resist change, in most cases that I’ve seen, it’s because they don’t trust the people with whom they are working, they don’t trust the managers who are telling that what they need to be doing or how they need to be doing it. And they can always come up with a long list of “oh, yeah, we’ve done that before and it didn’t work”. So there is a problem of trust and you don’t develop trust overnight. You develop trust by confidence-building measures. You develop trust by doing simple things and quick things and showing that it can work. Then doing more things and showing that it can work even more, doing even more complicated things and more quickly, showing that can work too. And that takes time. D: You’ve mentioned a lot about how trust is so important but would you be able to say what kind of issue could often be misunderstood for other team issues and maybe even penalized by managers, which could be solved by just gaining trust. So if that’s the issue, what are the symptoms sometimes that people are trying to extinguish. Well, as I said, I think there are some people who look back at what has happened in the past and they’re very skeptical about the ability to do anything any better. They’re very much focused on the past and not at all focused on the future. There are people who are know-it-alls, they think that they have the solution. Anybody who disagrees with them, anybody who has a different way of going about it, well, they’re simply wrong. It is very difficult to communicate with people like that because, very frequently, you’re not even sharing the same vocabulary. Every time you try to exchange ideas it turns that you’re talking at cross-purposes, so there’s a big communication issue. At some cases, there is a question of leadership, a lack of leadership issue. In a lot of organizations, people equate in their mind management with leadership. The leader of the group is the manager of the group and I don’t think it is a useful way to look at it. The leader is somebody who helps other people to do their work and to improve what they need to do, and that could be anybody. It could be a partner in your team who is doing the same work together with you, it could be someone from another team who reaches out to you and helps you. It can be a manager, it should be a manager, there is no doubt about that, but it should not be limited to the manager. So there are some of the issues that need to be addressed. How could a manager or a leader in that position best educate the team on Lean culture and this idea of continually improving without them feeling like theý’re being picked on specifically? One of the big issues you see in a lot of organizations when they try to manage things in a more Lean way is that people come to that concept with the preconception that going lean means reducing the number of people on staff. All of a sudden they say “we’re gonna become more lean” and people hear in their own minds “oh, they’re gonna fire 20%-50% of the staff. Am I going to be the one to leave? What can I do to pre-check myself?”. This is a real big issue because it gets people into the wrong frame of mind. [They start] Thinking not in terms of how can the organization itself improve the products and services it’s delivering and in all likelihood thereby grow. And in all likelihood if it grows you will not need to reduce the size of the staff, you’ll probably need to increase the size of the staff – it’s in the nature of success – you wanna do more things, you have more customers, you wanna provide more services, more functionality in your products. And that inevitably requires more people. The good way of thinking about it is if we play the game and make things more Lean, we will grow and we will be more successful and be more satisfied. So that is one of the big issues that we have. There is the importance of empowerment of the team. Every team has this idea of what they think they need to do and what they’re obliged to do. Either because somebody with authority told them they have to do it or because it’s part of the culture of the organizations, this is the way they do things in order to get along with everybody who’s working. When you empower them and give them the ability to look at what they’re doing and ask the question “is this really helping anybody? Having done this, have I just complied with a policy or have I really added value to the work that I’m doing?”. When you get people asking that kind of question and empowering them to take steps as a result of answering that question, then I think you are on the right track to helping the organization become more Lean. And Lean is not an end in itself, just the means for making an organization deliver products and services that their customers find more value in and being able to do that without radically increasing the number of resources they need to do it. I think that’s some of the key things we need to look at in order to be able to start working in a Lean way and start making a continual improvement. D: If I’m hearing this right then instead of what people sometimes might think that Lean culture means laying off staff, we might actually end up in a situation where we hire more people and delegate even more responsibilities to them? D: I’ve heard you say that it’s about getting rid of the things that are not adding value. But maybe it’s not such a clear concept for some teams because we can talk about value in terms of revenue generations and many different contexts. What would be the typical things to for sure get rid of in every team no matter which context they’re working in? This is really a fundamental question. Because in my view the only value that is really important, the only fundamental value that you should be thinking of is the way in which your customers are using your product or their services to improve what they’re doing. If they can’t justify using your services in order to get more value out of what they’re doing, then they have no interest in using your services. If they have no interest in using them, there will be a lower demand and eventually, your business might go out of business. So this is really the key thing. But unfortunately, a tremendous number of organizations are far from thinking of value in those terms. They think of value as something that is inherent in the work that they’re doing. I don’t believe that that’s true at all. Take this simple example. Suppose you’re offering a service of sending emails, sending electronic messages. What is the value of an electronic message? You can’t answer that in terms of the internal provision of a service. You can only answer that in terms of how are people using it and what kind of messages they are sending, to do what? If somebody sends an electronic message to fix a launch day with a friend that has one level value. If a company send an electronic message to submit a proposal to a company that is worth tens of millions to the company, that is another value to the message. We can only assess value in terms of what our customers are doing with our output. People are very frequently far away from thinking in those terms, they think in terms of internal work that they’re doing. They think in terms of the process that they’re working on and compliance with the defined process. They think in terms of being on time and within budget and according to the plan, and this is very different from the value that our customers are getting. D: That sounds like the team would need to sit down and agree on some things and some fundamental framework for how they work, right? But then would that also need to involve measuring success? Is there a way to measure your progress towards a Leaner culture in a team? How do you know if your efforts are paying off? The whole question of what is the value that your customers are getting our of your services or your products is very difficult. Of course, if those customers are external to your organization, you will only know that indirectly. You will only know that because of what they’re buying from you. You can measure it in terms of the volume of what they buy from you or the price that they’re willing to pay for the services or the goods that you’re selling to them. If a customer is internal to your organization, then we have perhaps an easier way of trying to measure more directly what that value is. You can do that if you are an organization in a relatively high level of maturity and they know how to measure value within an organization. Unfortunately, many organizations are not yet there. When they’re not yet there being able to measure value, we start putting in place proxy metrics, things that are not the real things you want to measure. But we make an assumption, we make a hypothesis that there is some type of correlation between that something we can measure and what we really wanna measure. We start to look at things like measuring the percentage of time that we spend on work that is actually value adding work as an indicator of the value of what we’re doing. Another measurement would be something like looking at measurements of resource liquidity and the various causes for blockage within the flow of work. Resource liquidity is a very significant cause of blockage within work. Can we measure that? Can we see how frequently do we have a blockage because of a problem of resource liquidity? Another example might be simple things like the lead time for the work that we’re doing. The assumption is that faster is better. But of course, it’s not faster all by itself that’s better, it’s fast enough to meet the needs of your customers. As you know, if you try to do things too quickly, that might be a source of waste because you’re customer might change their mind in the meantime, the conditions might change in the meantime. You end up delivering something that nobody wants to use. It’s not so much about delivering as fast as possible but delivering as quickly as needed to meet the requirements of your customers. Those are some of the key metrics that I think we can use as proxies for the value of the work that we’re doing. D: Having so many things in mind with all these details it might seem like a very-very deep topic. But would you say that there is something that successful teams just do differently? Are there any crucial steps of behaviors or milestones that can give you “fast-track” to a leaner team and leaner company? I don’t think there is a magic bullet. There are patterns that we see. If I can come back for example to the continual improvement maturity model that I’ve described before, what I’ve tried to do in the model is for each of improvement… there are 6 axes that I’ve described in the model. There is the idea of understanding, do people on the team understand what continual improvement is. Then there is the axis of the methods and the tools that they’re using. Do they a method? Do they have an approach to doing continual improvement or is it completely ad-hoc? Then there is the question of performance. Performance in the sense of in order to make a given volume of improvements, what is the effort of work that they need to put in? Then there is the question of the momentum that the team has in performing continual improvement. Do they have a momentum? Are they able to deliver improvements at a certain cadence? Are they able to improve and increase the cadence at which they deliver improvements? An organization that delivers an improvement once every 3 years, that’s not perhaps what we might call continual improvements. An organization that delivers an improvement once a month, they’re doing a lot better. But perhaps they can improve that to once a week or even more than that. So the cadence becomes more important. And then lastly there is the question of value. Value not in terms of what is the value of the improvement that you’re making but rather in terms of is value something that is important in the discussions of the team members, in deciding what they’re going to do, in talking about the work that they’re doing? Does it become an important factor? As we saw before, in many organizations they don’t even know how to think about value. Especially value in terms of what their customers are doing with their work. There is an area where a lot of improvement can generally be made. Now, each organization is gonna be different, they’re going to be coming from different starting points, so using the model is the question of assessing where you are along each of those axes and then thinking about making incremental improvements, things that can be done quickly in a short timeframe to help move up the general maturity of being able to make continual improvements. If you can do continual improvement in an effective way, then I think you can become leaner and leaner in a very effective way. If anything is a key to becoming Lean, I think it’s continuous improvement. D: To finish, I would ask one final question. Can we take a sneak peek into the guide and look at the final stage of the most developed, most mature Lean culture? What would the team look like? What would be the things that would never occur in such a team? I have to be frank with you. I don’t think I’ve seen such an organization myself. For a lot of different reasons – I work in a sector where much of my work is dealing with people who are coming from a service management background and they’re laggards compared to people on product management, people in software development. I don’t necessarily see very mature, very Lean organizations. So that’s one of the issues. The other issue is I’m not sure that there is an easy way of drawing a line and saying above this line you are about as lean as you’re gonna get. 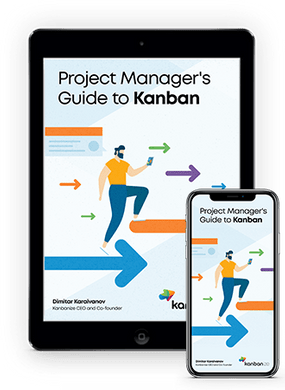 I think we’ve defined different methods and approaches to doing work, like Kanban, that are able to make huge improvements in the way in which people work. But if you look at some standard statistics that are cited of going from process efficiency 5% and saying if you reach 40% that’s good. Well, alright. That’s a whole lot better, I agree with that. But you know, between 40% and 100%, that’s a real big space too for additional improvement. So I think that we will probably find things in the future. Especially as we interpret more and more AI and machine learning and robotics. It will become a situation where the bar becomes higher and higher and higher. And I don’t think we are anywhere near the top levels of what we can eventually reach. D: Well, thank you very much for joining us today! I’m glad that you could have the time today to tell us more about how continuous improvement culture would look like. R: It’s my pleasure, Dima. This entry was posted in Experts Speak, Podcast and tagged continuous improvement, expert interview, flow efficiency, leadership, lean, podcast, video on August 22, 2017 by Dima Moroz.